We provide 95 gallon roll karts for Bleckley, Dodge, Laurens, and Twiggs County. 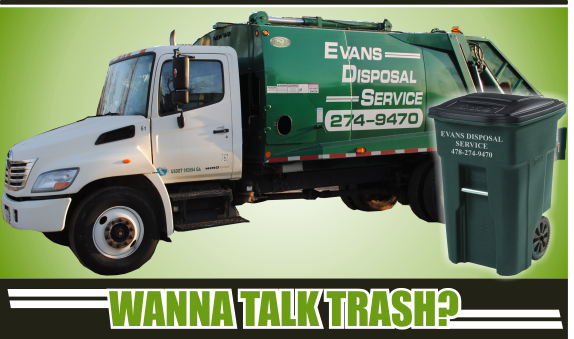 This container is available for curbside or backdoor service with once a week pick up. This is for household trash only. Curbside Service - you must place your kart out by the road the night before your scheduled pick up day. Backdoor Service is available - for a small additional fee, we will pick up your kart on your scheduled pick up day in your yard.